It was Ramadan in Afghanistan. By comparison, Savonarola’s Florence during Lent must have felt like party central. In a country where millions are cold and hungry throughout the winter, the faithful were observing one of the five pillars of Islam: abstaining from food and drink from dawn to dusk during the holy month. No wonder I was the only guest in Kabul’s grim, cavernous, and incongruously named Intercontinental Hotel. Vestiges of former eras lingered in the lobby–signs for the ballroom, directions to the bar, advertisements for vacations in the Soviet Union. Today, such indulgences seem a world away. Since capturing Kabul, the capital, in 1996, the band of religious students called the Taliban has imposed its purist vision of Islam on most of Afghanistan, banning chess, cards, nonreligious music, television, jobs for women, and education for girls. In a Monty Pythonesque touch, the government even outlawed paper bags, on the theory that they might contain fragments of recycled Korans. In Kabul, women scurry by in ragged burqas–the bulky body veils with which they are required to cover themselves, leaving only a small grille over their eyes through which to see. Men wear their beards long; the punishment for shaving is two days in prison. Curfew starts at nine. By eight the streets are deserted, except for young soldiers at every traffic circle who carefully inspect passing vehicles. Some wear black kohl eyeliner, which gives them a look that is at once feline and fierce. And yet the Taliban is now edging toward its own brand of “liberalism.” Slowly and quietly, the government is loosening up. Of course, one should not exaggerate the magnitude of the shift. For one thing, it is happening informally. And, by any normal standards, the Taliban remains a harsh and unforgiving lot–particularly in areas the group does not fully control. Nonetheless, the Taliban’s attitude on everything from women to the role of religion in daily life is changing in significant ways. When I visited Afghanistan in 1997, soon after the Taliban took power, heavily armed police from the Ministry for the Promotion of Virtue and the Prevention of Vice roamed the major cities in pickup trucks, enforcing the new religious laws. In Jalalabad I witnessed one crew beat a man who dared to keep riding his bicycle during afternoon prayer hour instead of stopping dead with the other vehicles. But, during this more recent visit, prayer time came and Kabul’s traffic didn’t even slow down. I saw many women, albeit swathed in burqas, walk the streets unescorted, despite the law prohibiting them from leaving home unaccompanied by a male relative. Across Afghanistan, children played soccer and flew kites–activities that were among the Taliban’s earliest prohibitions. Even some members of the Taliban have become scofflaws. During a bumpy 17-hour car trip from Kabul to Kandahar, one of my fellow passengers produced a tape of Hindi songs. Such nonreligious music is strictly banned. But our driver, a genial, black-turbaned mullah named Abdul who was an early recruit to the Taliban cause, not only popped the Hindi tape into his player but began to sing along. The reason for Abdul’s brazenness became evident as I toured the dank and dreary Pol e Charki prison just outside Kabul. Despite the punishments prescribed for violations of the vice and virtue laws, only 15 of the 1,800 prisoners were in jail for religious offenses. That’s not to say the Taliban suddenly tolerates opposing views: the majority of the remaining inmates were political prisoners or soldiers captured during the ongoing civil war in the north. But it’s partly because the government is fighting a real war that its culture war has been forced to the back burner. Indeed, much of the Taliban’s softening is the product of mundane necessity. The regime officially prohibits filming or photographing “living objects,” and, in the past, journalists caught secretly filming were summarily expelled. But, during my most recent stay, when hijackers forced an Indian Airlines jet to land at the Kandahar airport, the regime’s need to communicate with the watching world made such rules impractical. So the rules were thrown out the window. As the crisis unfolded, officials held daily, televised briefings for both male and female journalists. And photographers and camera crews were allowed to shoot at will. Likewise, the regime has recognized the impracticality, and the danger, of its policy on the medical treatment of women. Until recently, the Taliban’s position was, in short, insane: male doctors couldn’t treat women, and female doctors couldn’t practice medicine. But a group of doctors and anesthetists I ran into at the Kandahar airport told me they are now allowed to see female patients “as long as the woman does not object.” In addition, small numbers of female nurses and doctors have been permitted to work in city hospitals. Last May, local authorities in the western city of Herat gave the World Food Program (WFP) permission to run a three-year medical-education program for more than 100 women. Life in Afghanistan has hardly turned into a picnic. The population remains desperately poor–a pharmacist earns about $6 a month. Most families have a hard time feeding their children, let alone scraping together the 25-cent monthly fee charged by some private schools. Instead, many children attend free religious schools, which offer little beyond Koranic instruction. As for the Taliban, while it has loosened up in some ways, it remains as brutal as ever in others–particularly in northern Afghanistan, where it continues to battle an alliance led by the nation’s former rulers. According to a recent State Department report, the Taliban has committed “numerous serious human rights abuses” over the course of that struggle, including summarily executing civilians, forcibly relocating populations, burning homes and crops, and using forced labor. As I said, in the Taliban’s Afghanistan, liberalism is relative. 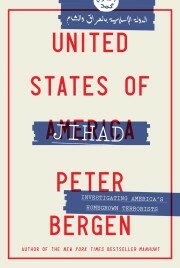 PETER BERGEN, a broadcast and print journalist based in Washington, D.C., is writing a book about jihad movements.